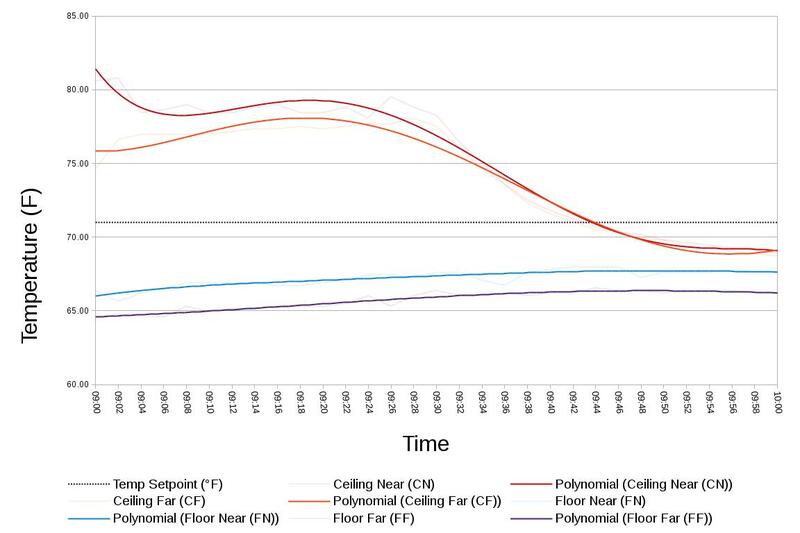 AirScape has developed a new Destratification fan designed to redistribute air throughout buildings to avoid hot air accumulating up at the ceiling. Thermal stratification causes cold air to settle which forces hot air to rise. It can regularly cause 10 or more degrees variance in the temperature of a space. This usually leads to overheating in the Winter to compensate for the cold air felt in work areas. In the Summer, the air stratification often causes cold pockets from the A/C. Destratification works to completely mix the warm and cold air. It helps move warm air down in Winter or to eliminate the cold pockets in the Summer, equalizing the temperature in the building. This drastically reduces heating and cooling costs and raises the overall comfort levels of the building occupants. 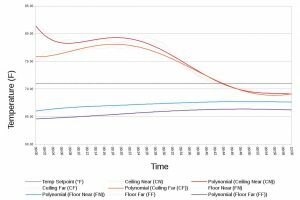 It works best when pushed smoothly over a long distance to properly mix the high and low air temps, as this fan does, as opposed to the old method of large, slow moving rotating ceiling fans. Destratification even works in greenhouses, distributing heat evenly and keeping air moving over plants. 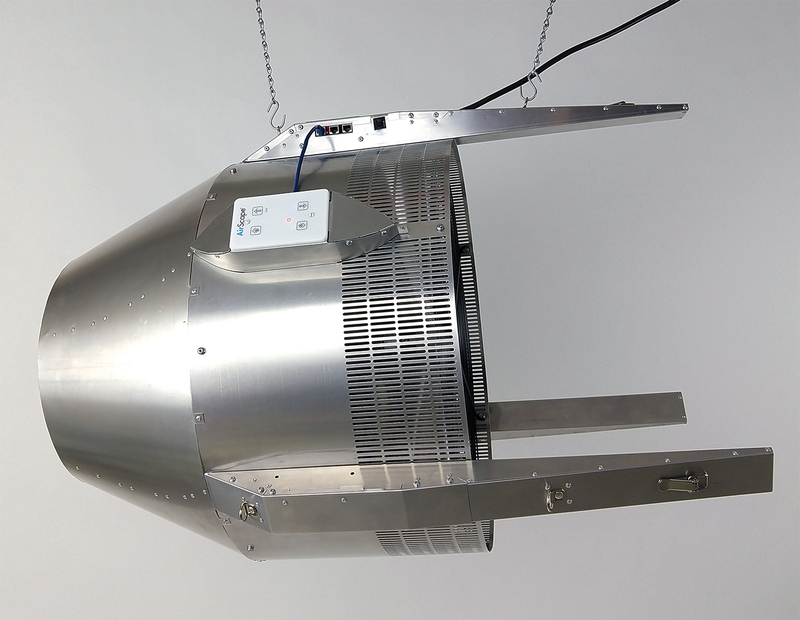 The AirScape DeStrat Fan can be used on the floor or suspended to blow air down or across the space. It moves an amazing 1500 cfm on high, with 10 speed settings to choose from, 3 times the cfm of most Destratification fans on the market. Here is a quick video of the AirScape Destrat Fan moving smoke on speed 5 over 100 ft.
Wonder if it will work for you? Take a look at how well it worked in our warehouse office (1400 sq ft, 14 ft ceilings with ceiling diffusers, leaky doors and drafts – my feet are always cold). We used the fan on speed 3, 788 cfm @ 19.3 watts. The heat at the ceiling quickly dropped as the air was moved downwards, reaching a nice balance within 1 hour. We did not have a perceptible draft at this speed, and everyone reported higher temperature comfort than before (my feet were finally warm). Since we’ve definitely hit cold late Fall weather here in Oregon, the regulated heat was really appreciated by everyone.